Formerly the lead media officer for the Methodist Church in Great Britain, Anna Drew was recently appointed Director of Communications at the Diocese of Canterbury. In both roles she has been responsible for the Church’s Media Service, working with a variety of media to represent the national Church and offering support and guidance to those working with the media on behalf of the Church. In her role she works closely with policy experts to manage multi-agency projects and campaigns on issues ranging from alcohol pricing to UK poverty and welfare reform. During her time working for the Methodist Church, they were at the forefront of creative online communications – the first national Church to begin podcasting, and to create their own smartphone and tablet app. 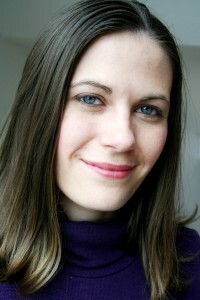 In 2011 she co-authored Leadership and Social Networking, a guide to social media engagement for ministry. Anna is passionate about theology, radio, social justice, TV, books and film.